The Jewish holiday of Purim will begin this week. The event commemorated by Purim is recorded in the book of Esther, and it is one of victory over oppressors of the Jewish people. The heroine is Esther, a beautiful Jewish woman who, after winning a beauty contest, married King Xerxes of Persia (485-464 B.C.). 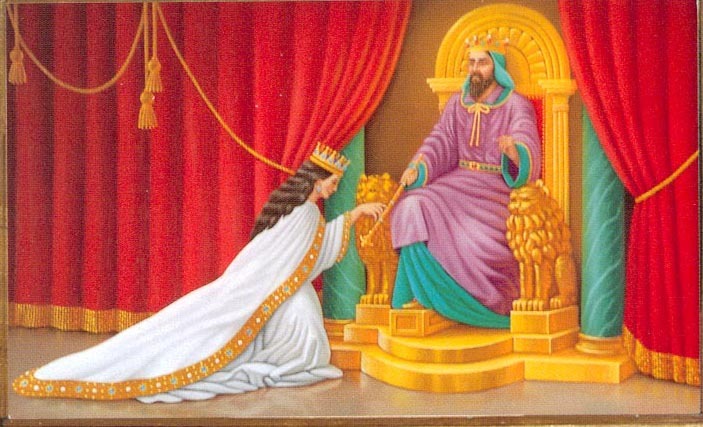 Because the king loved Esther more than any of his other women, he made her Queen. He was not aware that Esther was a Jew. 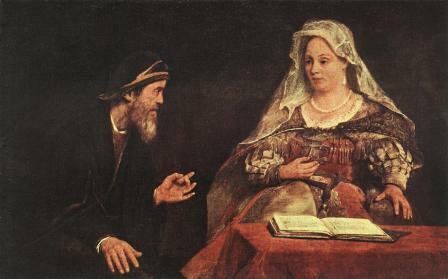 Mordecai, Esther's guardian and a great Jewish leader, had advised her not to reveal her nationality. "There is a certain people scattered abroad and dispersed among the peoples in all the provinces of your realm. There laws are different from those of every other people's, and they do not observe the king's laws. Therefore, it is not befitting the king to tolerate them" (Esther 3:8). The king gave Haman permission to deal with the Jews as he saw fit, so Haman made plans to massacre those Jews living in Persia. He cast lots to determine the day; it would be 13 Adar. (The word pur in Esther 3:7 is a Hebrew form of the Babylonian word puru, meaning "lot." The im ending is the plural form of pur, giving purim. Mordecai persuaded Esther to speak to the king on behalf of her people. This would require her to appear before the king unsummoned--a crime that would be punishable by death unless the king held out the golden sceptre. For three days Esther, her maids, and the Jews fasted in preparation. On the third day Esther appeared before the king, and King Xerxes held out the golden sceptre, for Esther had found favor in his sight. She asked the king to attend a banquet she had prepared for him that day, Haman being invited also. At the banquet, Esther promised the king that she would make her request known to him the following day if he and Haman would attend another banquet. Haman was overjoyed at being so honored. Upon leaving the palace, however, his joy turned to indignation when he saw Mordecai standing in the king's gate refusing to pay him homage. At the suggestion of his wife, Haman built a gallows on which he would have the hated Mordecai hanged. To make a slightly longer story short, at her banquet the following day Esther told the king of Haman's treachery against her people. King Xerxes was outraged by what he heard, and, as a consequence, he had Haman hanged on the very gallows that Haman had intended for Mordecai. As for Mordecai, he was honored by being appointed prime minister in Haman's place. The story does not quite end there, because the king had officially decreed the massacre, and according to the law of the Medes and Perians, that decree could not be revoked, even by the king himself. But he did warn the Jews and allowed them to defend themselves. On the 13th of Adar they fought and defeated their enemies, celebrating their victory on the 14th day. Those in walled cities were victorious a day later, on 15 Adar. Purim is the celebration of this victory and the survival of the Jewish people. 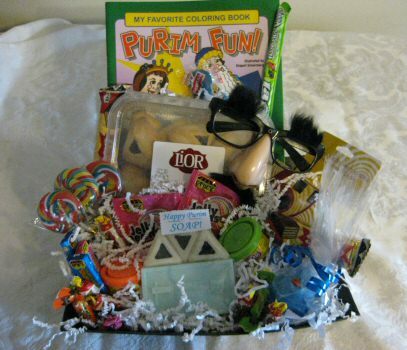 There is a tradition of sending a basket full of sweet goodies to one’s family and friends in celebration of Purim. If you have Jewish friends, consider sending them a small box of sweet treats (cookies, small cakes, fruit, raisins, etc.). Or you may like to call and wish them a Happy Purim. Let them know how thankful you are that God stopped Haman, because your Messiah came from the Jewish people. 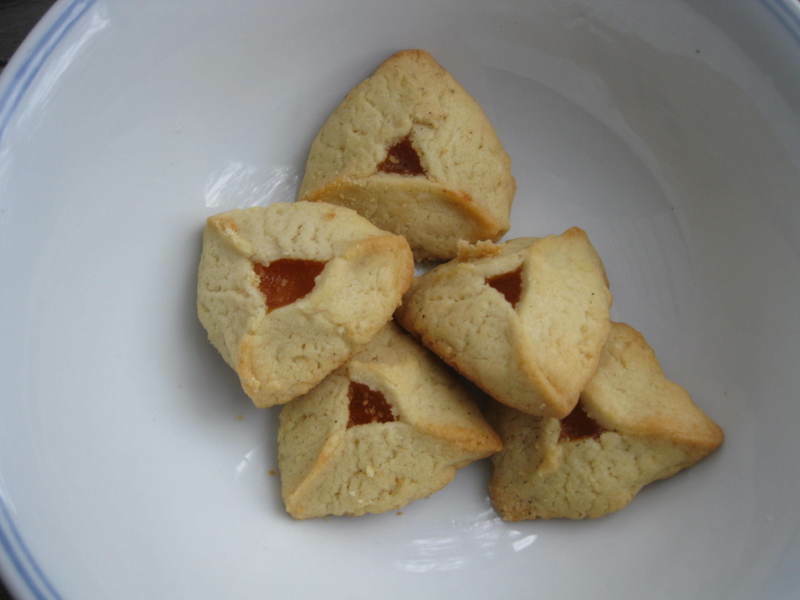 The Jewish people also make a filled pastry in the shape of a triangle. This is called a Hamantashen (German for Haman's Hat). This tradition began in Germany when three-cornered hats were in style. This was a way of showing how the Jews, with God's help, triumphed over their enemy Haman. God is never mentioned in the book of Esther, but it is obvious that He is sovereign over all that happened. His intervention saved the Jewish people. His providential care for his people, both individuals and the nation, is evident throughout. Later, our Lord and Savior Jesus would descend from ancestors of those who were saved in Persia. As Christians we can remember God's promise in Hebrews 13:5: "Never will I leave you nor will I forsake you" (also see Deut. 31:6). We may not always be conscious of God's providential care for us, but He is there ready to come to the aid of His children. Call upon the Lord all the time. He is neither deaf nor helpless that He cannot help you. Modern Day Haman Threatens to Destroy the Jewish People and America! The theme of this 2,500 year-old story is still very relevant to modern Jews. Today the Iranian leaders and other hate filled groups are modern-day Hamans. The Iranian leaders behind whoever is the President of Iran are the ones have the real power. Iran is the same are as ancient Persia! The Leaders of Iran are threatening Israel with annihilation while the world allows them to work towards producing a nuclear bomb. Least we say that this is Israel's problem and not ours – the leaders are also vowing to destroy America. With our porous borders, nuclear weapons can be smuggled into America. The same God who protected the Jews in Persia during the days of Esther is still God today. He is aware of the evil intents of Iran’s leaders. God will intervene, and woe to those who hate Israel. Even though God is sovereign over all things, He commands us to pray. Therefore, pray for the protection of the Jews and for God to intervene on their behalf. This is an important way to show love for Jewish people. “I will bless those who bless you and curse those who curse you” (Genesis 12:3). Pray that our leaders will understand the serious consequences that will arise if Iran is allowed to obtain a nuclear weapons.